Appellate decisions and case law and statory citations. Possible links to other blogs and web sites. Good discussion of Oklahoma Criminal Law and Tulsa Criminal Law cases and DUI and DWI cases and Drug and Marijuana and Methamphetamine and Cocaine Cases. Possible criminal defenses and general advise. The Initial Appearance: Room 173 at 9:30 a.m. - Preliminary Arraignment (scheduling for preliminary hearing) – purpose is to schedule a preliminary hearing but usually it gets passed to give the defendant time to fully retain the lawyer. The word "arraignment" means to "schedule." So, a preliminary arraignment is a scheduling date for the preliminary hearing. Initially, it is passed for the defendant to employ or pay the attorney. 3rd Appearance: Preliminary Hearing – Room 347 or 344 at 9:00 a.m. on the 3rd Floor. The witnesses to the case are subpoenaed by the State to appear and testify in the event that the defendant wants to challenge the evidence. A. Drug Court or DUI Court: This should be done several days before the preliminary hearing, otherwise the court may require a waiver of the preliminary hearing before scheduling it. B. Option - Challenge the Evidence & Have an Actual Probable Cause Hearing: You can have or put on the preliminary hearing where witnesses are called to testify. The issue is whether there is “probable cause” to believe that a crime was committed and that the defendant committed the crime. If no, case is dismissed. If yes, then the court gives you another court date to return before the assigned Judge above the 3rd floor in about one week. At that time you can try to work out a “different plea bargain” or you can order a transcript (written record of what happen which is prepared by the court reporter) of the preliminary hearing and file motions based upon the transcript and the new judge will determine those motions. The preliminary hearing is normally the main chance to challenge the sufficiency of the evidence, the constitutionality of the arrest, search, and seizure. If you waive you hearing, then you are normally waiving your right to challenge the case and the evidence. If you put on the preliminary hearing then the prosecutor will normally withdraw their recommendation. After the preliminary hearing then the plea bargain may get better or it may get worse, so the final decision on whether to accept the plea bargain or reject the plea bargain is always up to the defendant. C. Can waive the preliminary hearing because you have a “plea bargain” of some type worked out on the case. D. Plea Bargain - Option 1 - Presentence Investigation (PSI) – Case may be passed (you waive preliminary hearing) for you to complete a presentence investigation. This leaves it up to the judge to decide whether to give you probation or not and whether to give you a deferred or suspended sentence and what the probationary terms will be. This involves an “investigation” by a probation officer who will perform a urine test on you for drugs/alcohol and a background investigation: criminal record check, social history, soc.sec.number check on employment history, letters to victim, copies of the official police version of the event, your version, a LSI evaluation psychological - social assessment with recommendations, copies of treatment information, and the probation officers recommendation. The Judge will sentence you in part based upon this report, but the Judge always has the final authority to decide what the final sentence will be in your case. If you qualify, the court may allow you to have probation, may allow you to have a “deferred” sentence – probation without a conviction or a “suspended” sentence – probation with a conviction or no probation or a split sentence. E. Plea Bargain – Option 2 – Suspended sentence - you may be able to plead out without a presentence investigation to a straight suspended sentence. This is a felony conviction with probation but without a presentence investigation. F. Plea Bargain – Option 3 – Deferred sentence – you may be able to plea out without a presentence investigation to a “deferred” sentence that is probation without a felony conviction. You will still have an “arrest” record but no conviction. If you successfully complete the terms of probation and return on the scheduled review date then the case is dismissed and the conviction is expunged, but you still have an “arrest” record. G. Plea Bargain – Option 4 – if the prosecutor agrees – amended to misdemeanor – you may be able to plead out to a misdemeanor but only if the prosecutor agrees. This is normally only done in rare cases when there is some “weakness” in the case and the defendant does not have a prior criminal record. H. Plea Bargain – Option 5 – if the prosecutor agrees – pass the case to obtain additional information or witness information or discovery or other information or to pay off restitution. I. Option 6 – if bad charges or bad prior record – straight in-time prison recommendation. If you waive preliminary hearing or if you have a preliminary hearing and are given a new court date one week later, then it will be set in front of another judge. The next date is called “District Court Arraignment.” At that time you can order a copy of the transcript of the preliminary hearing and file written motion to dismiss, suppress, or other motions. You can also attempt to work out a different plea bargain. You can set the case for jury trial. Or, you can pass the case for no issue disposition for about thirty (30) days. You will appear in front of another judge one week later, then the court will pass the case for thirty (30) days for a no issue disposition date. When you return to court then the court will expect you to enter a plea and begin the presentence investigation. You will enter a plea of guilty in front of the judge and the PSI probation officer will urine test you for drugs that day and begin the presentence investigation. Then court will pass the case for another thirty (30) days for you to complete the presentence investigation. When you return to court it will be for sentencing based upon the presentence investigation. The judge always has the final authority to determine your sentence. If you are unable to work out an acceptable plea bargain, you might be able to obtain a recommendation from the judge and enter a “blind” plea without a recommendation from the prosecutor and have the judge sentence you. If you are innocent, you do have the option of a jury trial. A non-jury trial or trial by the judge is only possible if the prosecutor will waive their right to a jury trial and have a trial by the judge. In rare cases, it might be possible to have a non-jury trial or trial by the judge based upon the transcript of the preliminary hearing, and then appeal the court decision or rulings on the motion to suppress evidence. There is no right to appeal the judge’s rulings on the motions to suppress evidence or any other motions unless this is agreed to or unless there is an actual jury trial. A plea or accepting a plea bargain waives any appeals on the motions. Thanks for posting a good description of the procedures in Tulsa County Criminal Cases and Felony cases. It was very helpful. 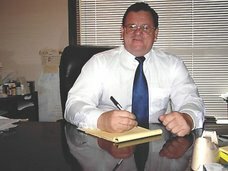 Information on Criminal Defense - Get the Latest Criminal Defense news, articles, etc.